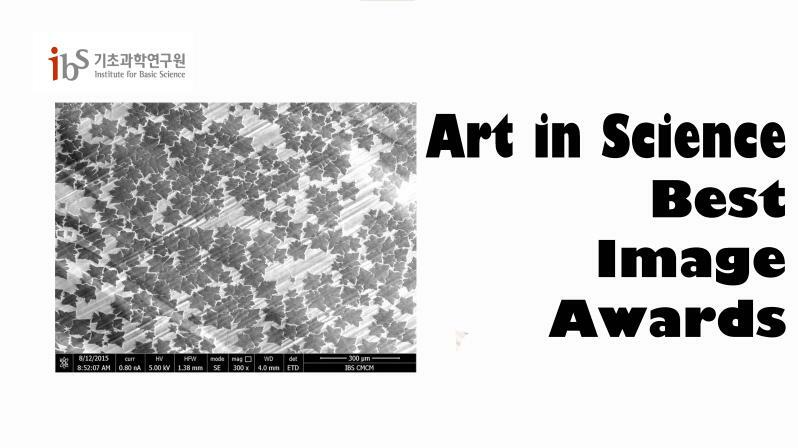 The image titled “Autumn Graphene Leaves on Copper Snow” by Dr. Rodney S. Ruoff at UNIST has been selected as this year’s Best Science Image in the 2015 IBS Arts in Science Best Image Awards Competition. 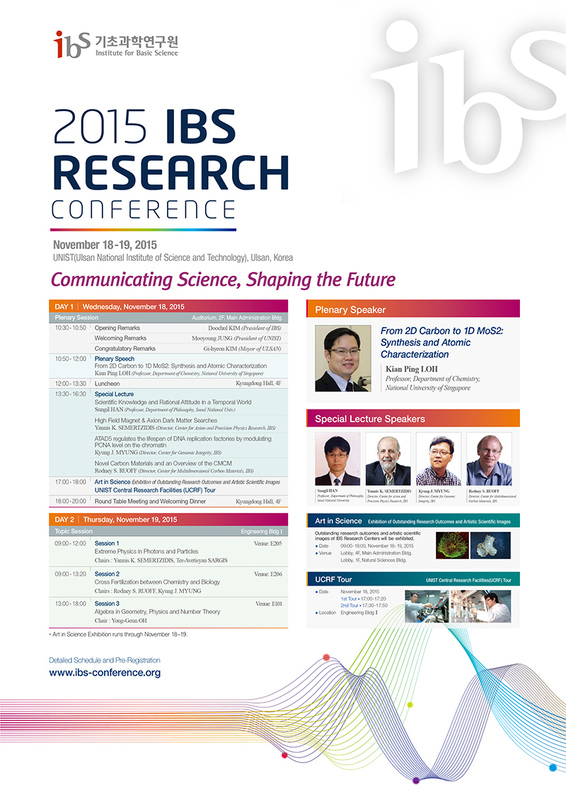 The 3rd IBS Research Conference, held at UNIST from November 18 to 19, 2015. 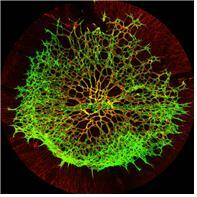 Winner of the 2015 Art in Science Best Image Awards announced. 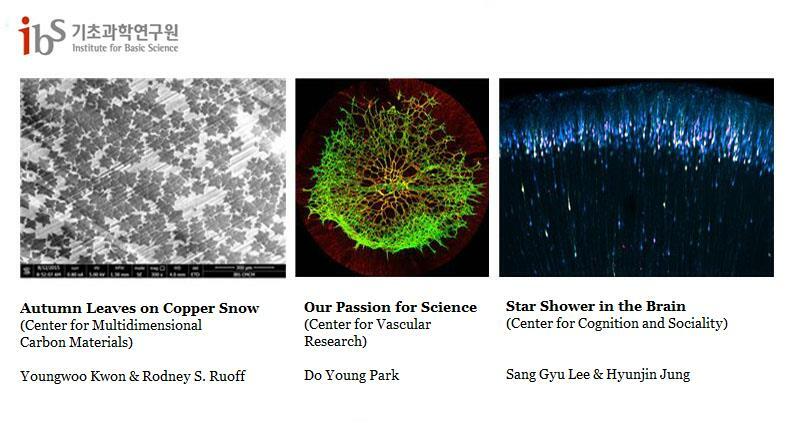 The nominees for the Best Science Image Awards at an exhibition titled “Art in Science”, which concurrently held with the 2015 IBS Research Conference, have been announced on December 10, 2015. The exhibition assembled a total of 21 works by influential scientists and 30 posters for the outstanding research outcomes of IBS Research Centers. A total of six artistic and scientific images have been awarded (one for the first prize, two for the second and three for the third) at the exhibition, highlighting the artistic beauty of scientific images. 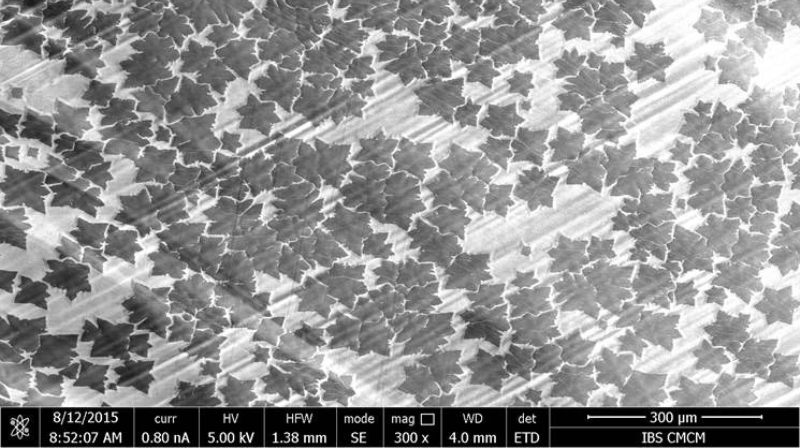 Among the many amazing images of 2015, the image titled “Autumn Graphene Leaves on Copper Snow” by Dr. Rodney S. Ruoff at UNIST has been selected as this year’s Best Science Image in the 2015 IBS Arts in Science Best Image Awards Competition. The image, observed by Dr. Ruoff, the Director of the IBS Center for Multidimensional Carbon Materials captures the structure of graphene, looks like fallen autumn leaves. A selection of major artistic images, presented at the 2015 IBS Research Conference. Organized by the Instutite of Basic Science (IBS) in Daejeon, South Korea, the 2015 IBS Research Conference on Future Breakthroughs in Science and Society took place November 18-19, 2015, at UNIST. The conference builds upon the two previous conferences which have attracted the international research and development community. The theme of this year’s conference was “Communicating Science, Shaping the Future”. The 2015 IBS Research Conference aims to bring together leading academic scientists, researchers, and practicing experts to exchange and share their research outcomes, as well as to keep you up-to-date with recent research trends. The conference featured special lectures and topic sessions provided by eminent scholars and young scientists from Korea and overseas with an aim to highlight key elements of research themes and activities at IBS. Among the many outstanding presentations, there were also topic sessions by directors of IBS research centers, including Dr. KyungJae Myung (Center for Genomic Integrity), Dr. Rodney S. Ruoff (Center for Multidimensional Carbon Materials), Dr. Yannis K. Semertzidis (Center for Axion and Precision Physics Research), and Dr. Ter-Avetisyan Sargis (Center for Relativistic Laser Science).